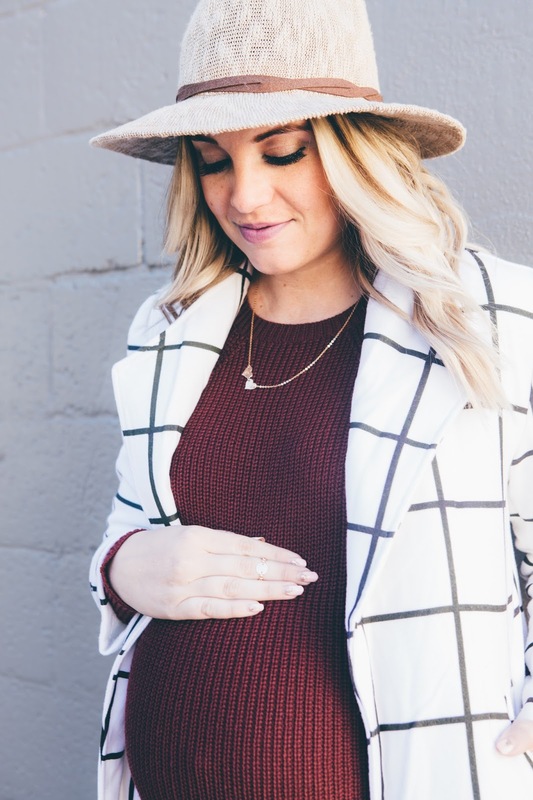 THE PINK BLUSH SWEATER DRESS & $500 NORDSTROM GIVEAWAY! I'm so excited to share this outfit with you! I can't tell you how hard it is to find maternity clothes. 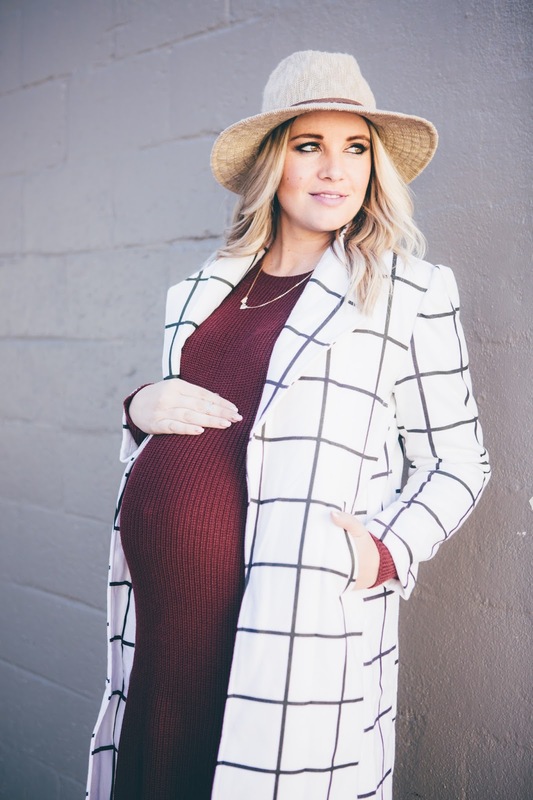 The great thing about Pink Blush and Pink Blush Maternity is that their clothing can be worn maternity or not! 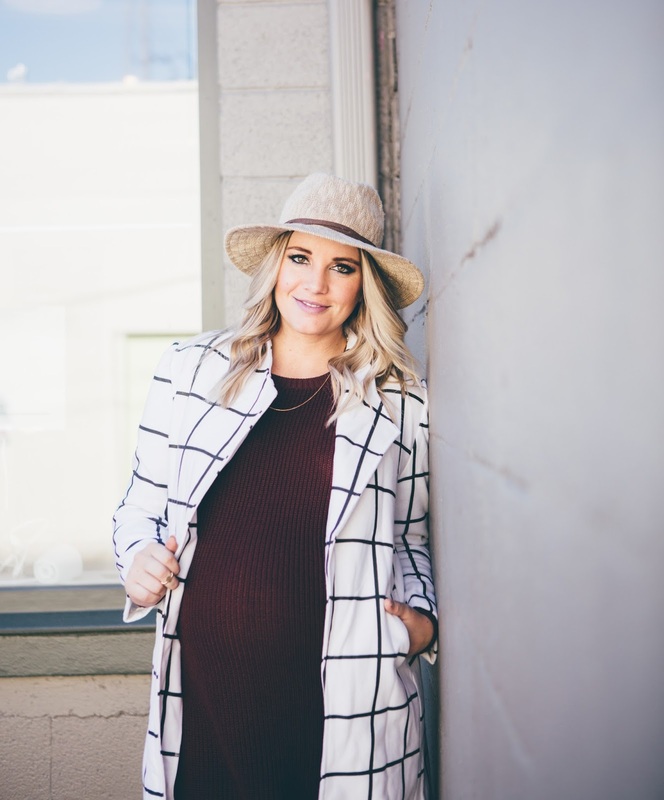 It's not very often you can find cute maternity clothes that you can wear before and after! 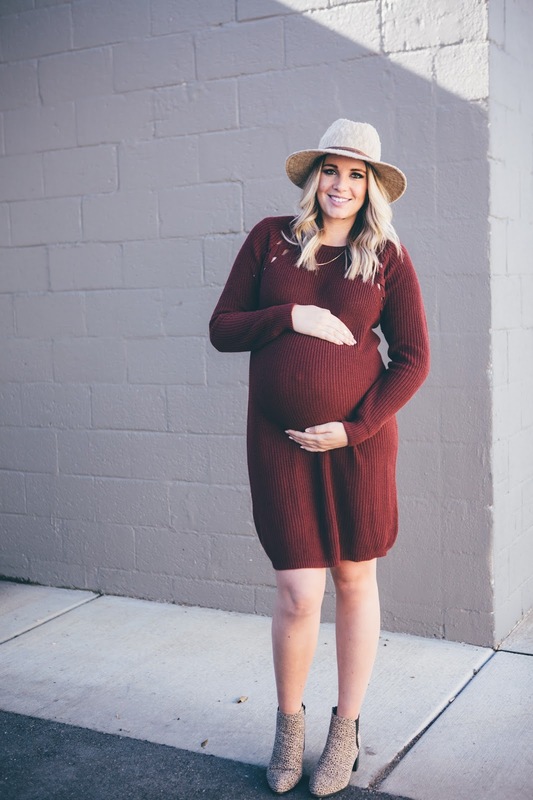 Where have you found maternity dresses from? 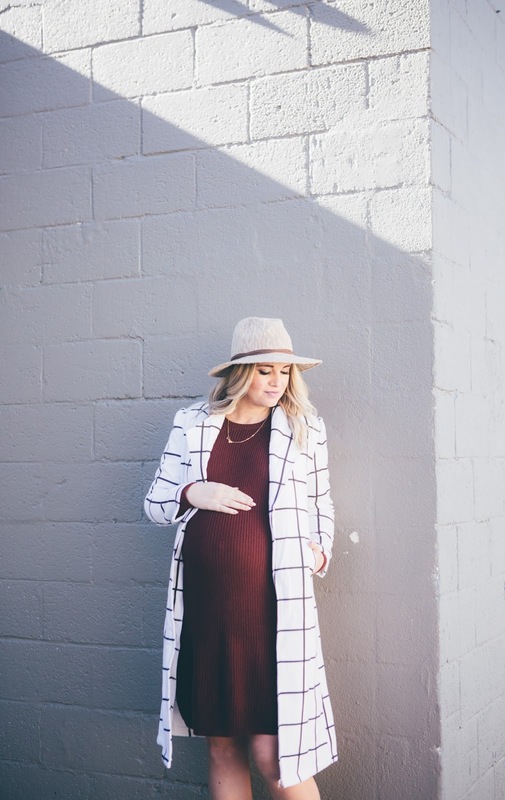 Since the weather is getting soooo cold (at least here in Utah) this sweater dress is much needed for a little extra warmth! I will definitely be pairing this dress with leggings and tights soon! And.... this jacket. I might say it's my favorite jacket I have had to date. I LOVE these long jackets and I love the pattern!! I just had to get it! Now…it's time for a fabulous giveaway! 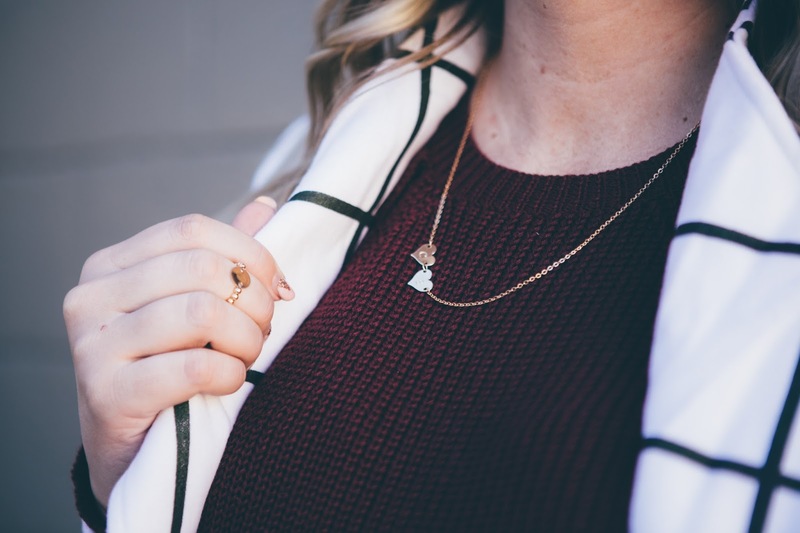 I've teamed up with an amazing group of bloggers to give YOU a chance to win: a $500 Nordstrom Gift Card Simply enter below by completing the rafflecopter. You'll receive one entry per completion. This giveaway is open internationally and runs until 12/4. Winner will be announced here. Good Luck!